Flanders Interview: He lives on the course, he's raced on it and driven the team car there - former pro rider and now team director Allan Peiper has the T-shirt and more when it comes to the Ronde van Vlaanderen. 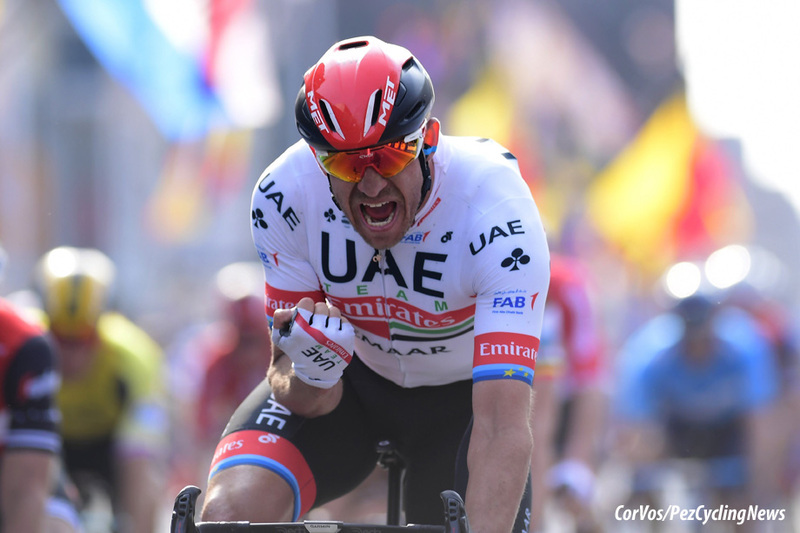 His man Alexander Kristoff won last week in Wevelgem, will the Peiper direct the winner this Sunday? Ed Hood gets the low-down from the man on the route. 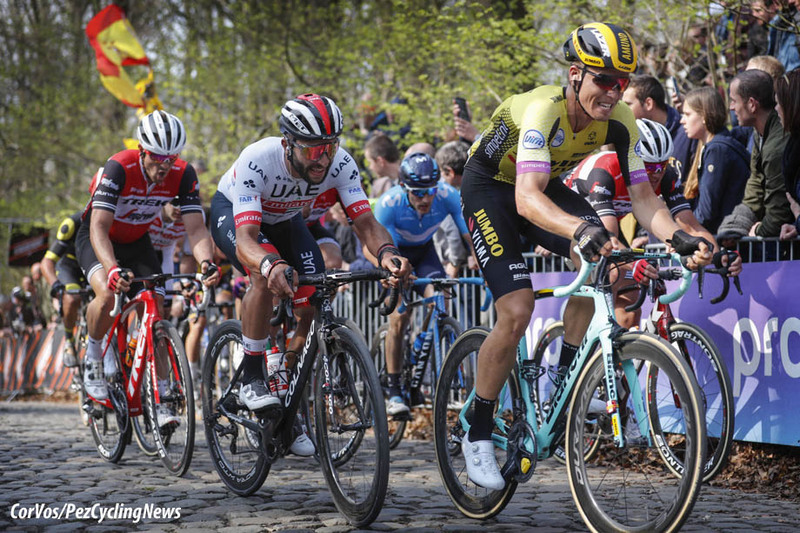 You can read the 2019 PEZ Flanders Preview HERE and all the Team Line-Ups in EUROTRASH THURSDAY HERE. 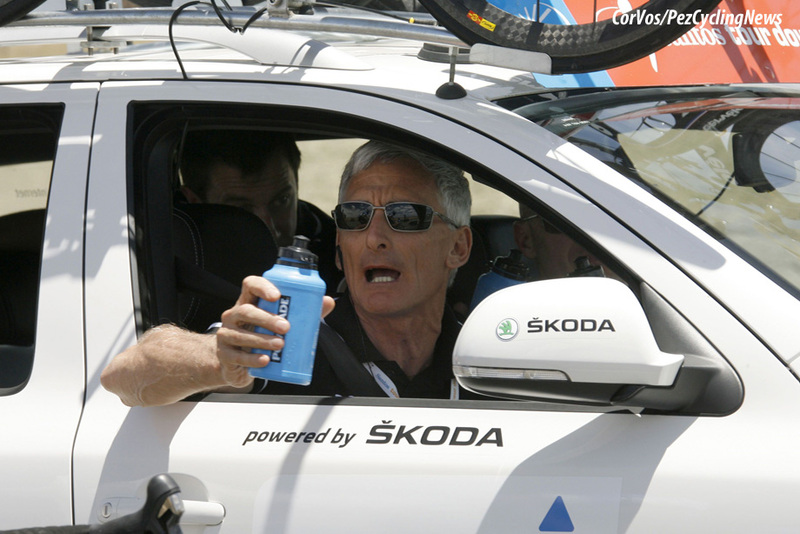 Armchair and laptop punditry from the likes of PEZ soothsayer Viktor and me is one thing but sometimes you have to speak to a man who’s ‘been there, done that,’ Allan Peiper hasn’t just ridden the Tour of Flanders and Paris-Roubaix on numerous occasions he’s also directed teams in both races. He’s finished top 10 in the former and guided one of his riders to victory in the latter. 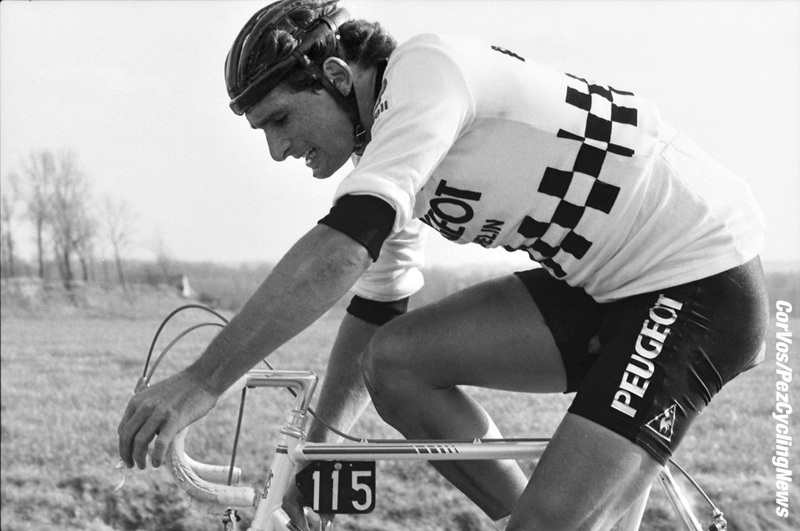 He rode for three of the most famous teams of their respective eras; Peugeot 1983-85, Panasonic 86-90 and Tulip 91-92. 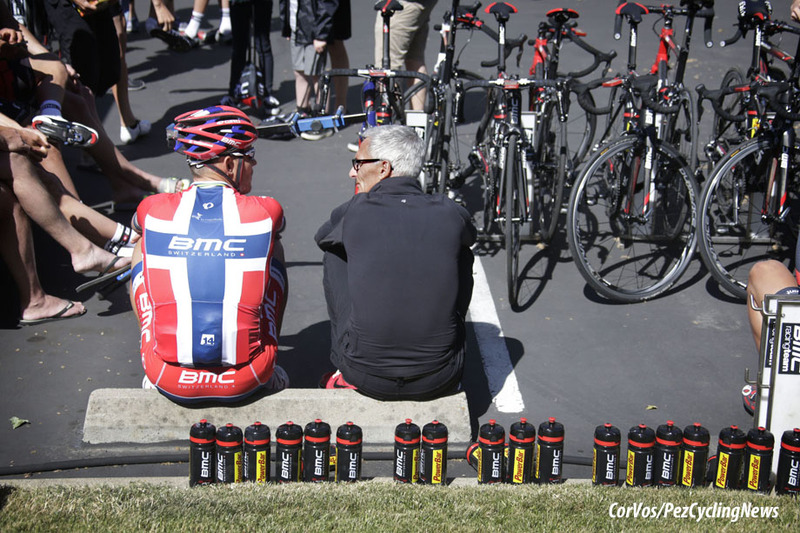 As a DS he has enormous experience with Lotto, T-Mobile, High Road, Columbia, HTC, Garmin, BMC and now UAE. 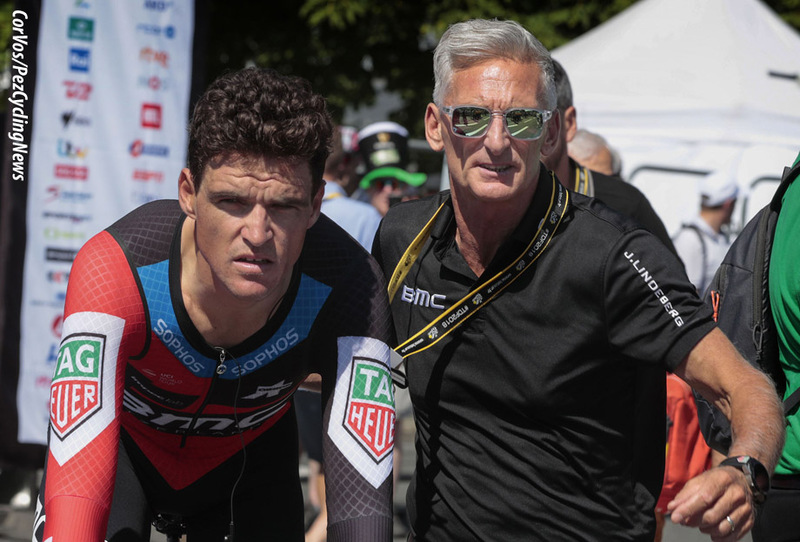 Allan Peiper: Thank you, Alex always says that he can produce those same 1500 watts in a sprint when he’s fresh or at the end of a race like that where everyone else is wasted; the longer and tougher it is, the better it is for him. PEZ: The Ronde – you live on the parcours? In Geraardsbergen, all the big races pass my front door. PEZ: Don’t you miss Australia, the sun and the surf? Cycling is my life and I’m so bound up in it that I never think about it – but in November when there’s not so much happening with the team and racing, that’s when I want to go home! PEZ: The new Ronde parcours with the Oude Kwaremont finishing circuit, what’s your take? It has taken us away from the history of the race, if there’s one image which is synonymous with the race then it’s riders passing the chapel at the top of the Muur in Geraardsbergen. But time change, there’s more traffic, more spectators, an emphasis on risk management and potential problems – all that has to be taken into account. The new parcours makes life simpler in terms of parking and providing hospitality – and folks don’t need to move around the countryside to see the race more than once. Your winter preparation is the most important because once you get into the season you’re racing so much. I trained with Marc Sergeant [ex-Belgian Professional Road Race Champion, ed.] and Dirk De Wolf [former Liege-Bastogne-Liege winner and Worlds podium finisher, ed.] and we worked hard. But once the season started, things were mapped out for you – the races in the south of France, the Opening Weekend, Tirreno-Adriatico and De Panne. One thing that I did do and it helped me greatly was to enlist a trainer, Ludwig van der Putte, he trained Phil Anderson then took me on too; he gave me specific intervals to do. I was missing that top end that you need to ‘go’ over the top of the climbs, the best riders can do that – the interval training he prescribed for me helped a lot. PEZ: You had some nice results In Flanders. 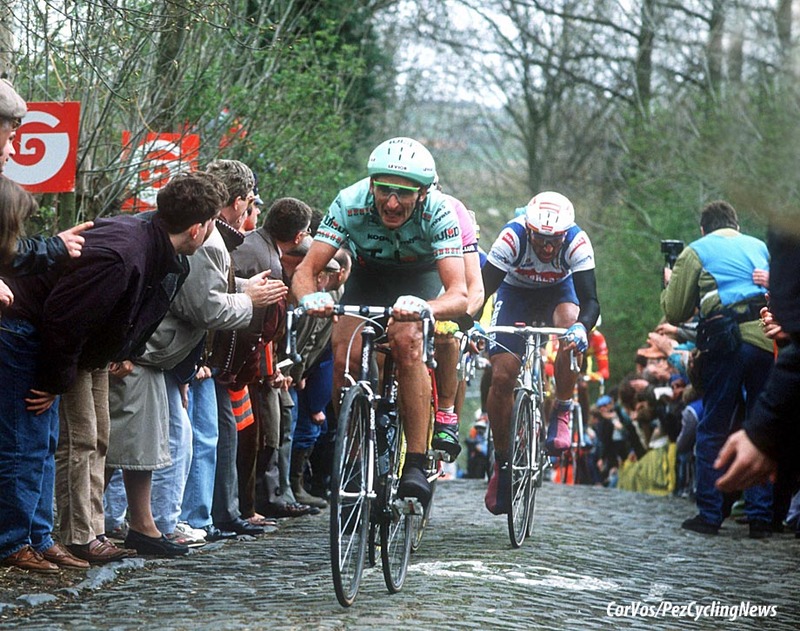 I rode it nine times – I was 10th in ’87 when the race went over the Old Koppenburg, there was a crash there and we had to unclip out of clips and straps but Criquielion was on Look pedals, clipped back in and was away – whilst we had to walk to the top. There was a break of eight behind him and I attacked with Ronny Van Holen to try and get across but I double punctured on the Eikenberg. I got the wheels changed and was so full of adrenalin I bridged across to the leaders where I had to lead out my team leader, Erik Vanderaerden. Criquielion won and Kelly beat Eric in the sprint to take second spot so we took third place. Two years later in ’89 I was seventh; Van Hooydonck attacked in the big ring on the Bosberg and that was that – Herman Frison was second and Dag Otto Lauritzen third with me on the same time. 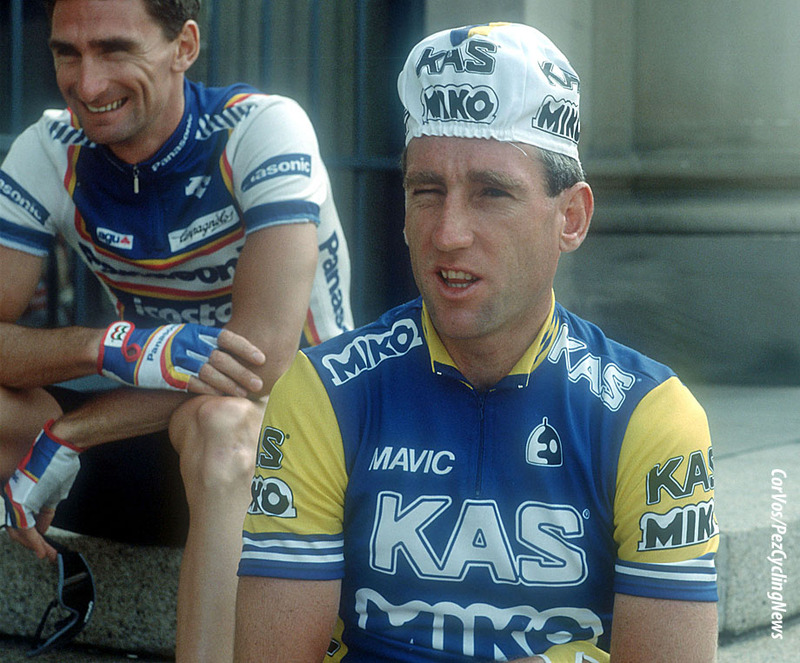 In ’90 I was in the break with Moreno Argentin – who won – and Rudi Dhaenens who finished second but ended up 51st that day. I was always highly motivated for the race and in the mix. PEZ: How many times did you ride Paris-Roubaix. I rode it nine times, too – but I never seemed to have the same level of motivation for it, I was usually in service of one of our leaders in the early stages and I had the mind set that ‘it wasn’t my race.’ But I was actually in the break early on with Dirk Demol when he won it in 1988. I always found it to be a bit of an anti-climax, like I said, I was always working for someone and my motivation wasn’t right. Then one year I was being interviewed about the race in the days before; it was a joint interview with Roger De Vlaeminck. I was saying that, ‘it wasn’t my race’ but Roger said that was nonsense, it was all in my head and I had what it took to be good in Roubaix. Hearing that from someone like him gave me new confidence and that year I was in the mix but with 30K to go when one of my alloy bottle cages broke then the other one worked loose and I had to rip it off – so I had no bidons or food. That was me finished. PEZ: But you came close to your own cobbled classic win in the GP E3? 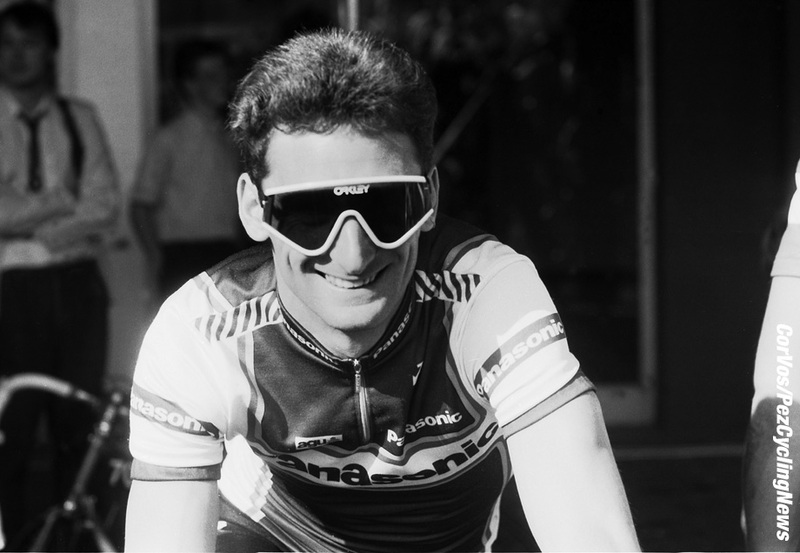 Yeah, that was in 1988 but I was with Guido Bontempi and there was no way I could beat him in the sprint, he was one of the fastest guys around. PEZ: Was there a big difference in approach to the big cobbled races between the Peugeot and Panasonic teams. That was one of the reasons I left Peugeot. I remember we came out after one pre-Ronde team meeting with Peugeot and the guys were discussing which feed they were going to climb off at. I wanted to organise a Flanders recon. ride; there were three of us out of the race squad of eight actually did it. 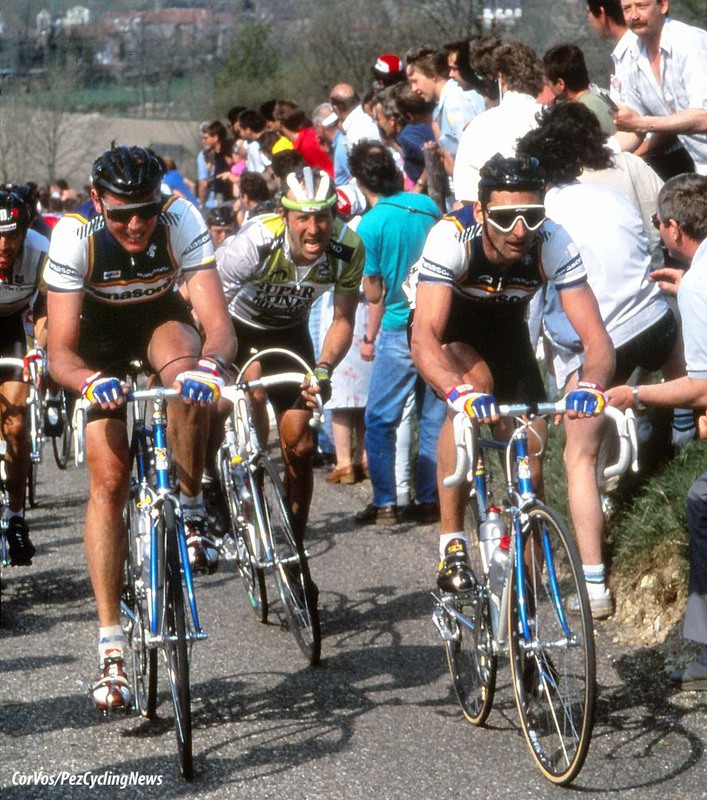 Those races were predominantly a Belgian/Dutch province; sure there was the odd guy like an Altig for Germany or a Moser for Italy but it wasn’t the same back then, the peloton wasn’t nearly as international as now and the TV coverage was nothing like it is now. PEZ: What’s your best memory of Roubaix as a DS? 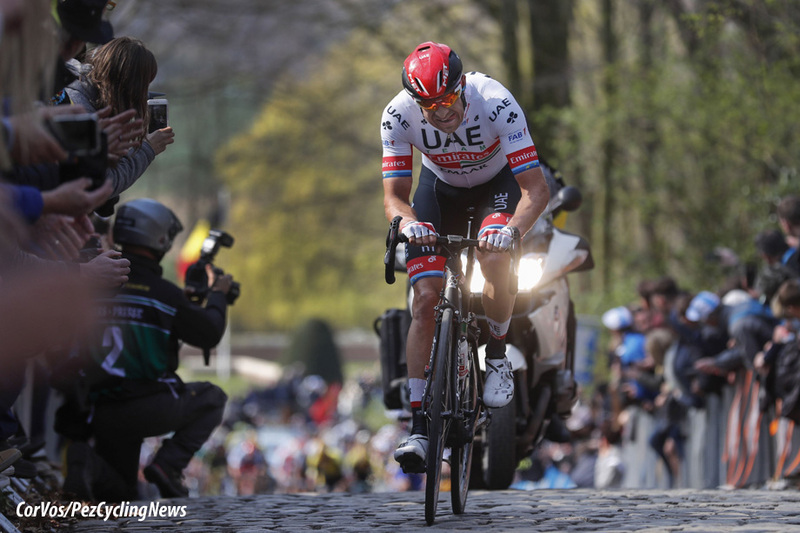 Greg Van Avermaet’s win, two years ago – he’d had the disappointment of finishing second to Phil Gilbert in Flanders; then he punctured early but the team took him back up very smoothly so his ride back to the front was perhaps steadier than the guys that were up there. Then we had Daniel Oss up there to lead him into the Carrefour sector – that was a great day. I’ve come close as a DS in the Ronde; but no cigar – it’s for sure on my ‘bucket list’. PEZ: You must have a good shot with Alex? 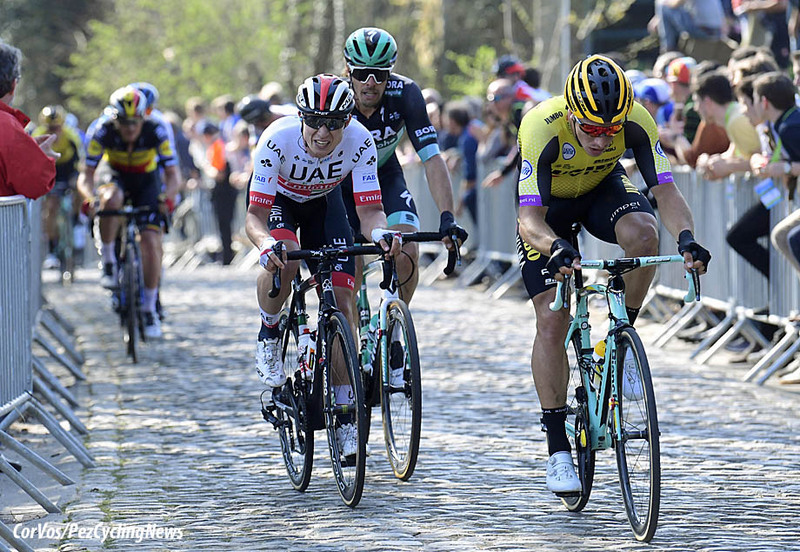 Yes, he’s a favourite but after Wevelgem he’s gonna be watched, they’ll not let him sneak away off the front so he could get over the Kemmel like they did last weekend. He’s a survivor with a very big motor but the Oude Kwaremont isn’t his kind of hill. In the Ronde you have to have luck, things going your way. . .
PEZ: Your man Gaviria was a surprise in Wevelgem, a sprinter but in the break and there all day. He’s pure talent, the way he goes about his training, the way he rides, he could pop up and surprise you at any time. I remember back at High Road when Cav was on the Tour team, the team doctor said Cav was overweight and wouldn’t finish the race – he won six stages! The really special guys are like that, they can come to form seemingly overnight – Gaviria is in that mould but he needs another year or two to develop. PEZ: UAE is a very cosmopolitan team; you only have one Belgian rider, young Jasper Philipsen, it must be difficult to match the Belgian and Dutch guys motivation levels for these races? Jasper is young and still developing but yes, to the Belgian guys the Ronde is more than a race, it’s a national celebration, they’d lay their life on the line to win it. It’s like Milan-Sanremo for the Italian guys, most would rather win that than the Worlds. PEZ: Who’s your favourite for Sunday? 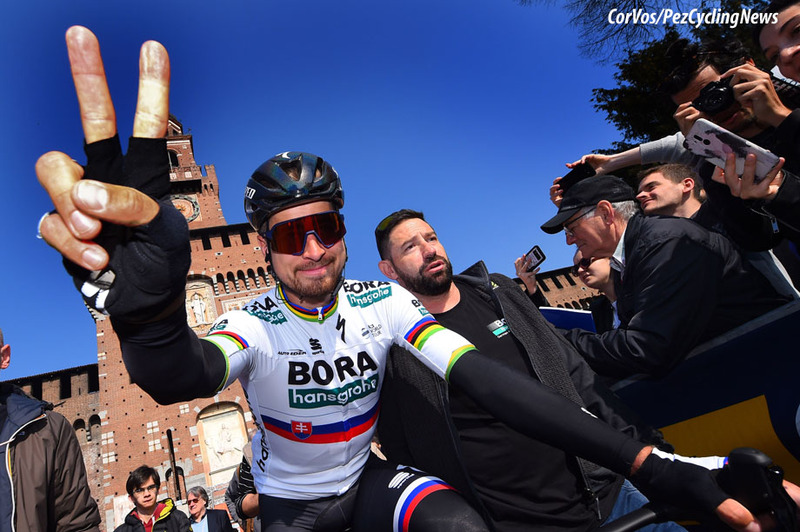 Sagan, he has all the attributes; he reads a race well, he’s explosive on the climbs and he can sprint – you could see at Wevelgem that he was coming into shape and is ready. But of course, all eyes will be on him. . .
PEZ: Van Avermaet makes no secret of his desire to win the Ronde, but he didn’t look his best at Wevelgem? Wevelgem’s not really the race for him but I was surprised to see him not at the front over the Kemmel. But he’s like Kristoff, if it’s long, hard, tough – he doesn’t lose power and is just as fast at the finish. PEZ: Thank you for your time, Allan – and we hope Alex can finish the job for you on Sunday. As I said, I’ve been in a position to win it as a DS a few time but never pulled it off, so that would be nice, yes.